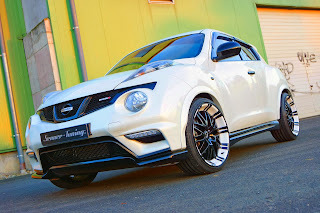 It didn't take too much time for Senner Tuning introduce another tuning package for the recently unveiled Nissan Juke Nismo. The 1.6-Liter turbocharged four cylinder engine now produces 225 HP (165 kW), an extra 25 Hp over the stock model, and 202 lb-ft (275 Nm) of torque thanks to a new INJEN air intake, a power converter and a stainless steel exhausts system. 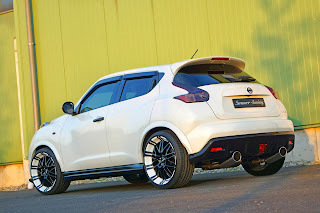 The car has been lowered by 35 millimetres and now rides on 20-inch alloy wheels fnished in black and white. The package will cost €9,000 ($12,200) in addition to he base price of €25,400 ($34,500).